Take a basic Canadian first aid course in Coquitlam with VFA and learn about circulatory and breathing emergencies. Whether you need food safe training, mask fit testing, first aid certification or re-certification, Vancouver First Aid (VFA) in Coquitlam is your best source. This popular provider has training centres throughout the Lower Mainland with a training centre in Coquitlam, B.C. that opened in the Summer of 2016. A huge range of courses are available through a number of providers including Food Safe Level 1, Red Cross courses, Lifesaving Society Courses and Heart and Stroke Foundation courses. Located near the TransCanada highway and the Lougheed highway the Coquitlam training centre is situated near many amenities including great access to public transit and nearby restaurants. VFA provides the largest amount, lowest priced Canadian first aid and CPR courses in Coquitlam, B.C. 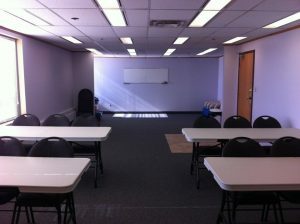 What Topics Are Covered in A Basic Canadian First Aid and CPR Course? Learn these skills and more with hands-on training by taking a Canadian First Aid course in Coquitlam BC with VFA.